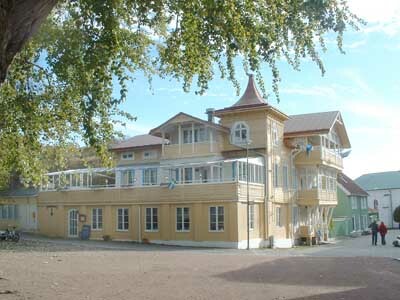 SASNET arranged a symposium 2527 October, 2002, for Swedish PhD students and post-docs engaged in research related to South Asia, at Marstrands Varmbadhus, north of Göteborg. A total number of 46 participants took part in the symposium. See the full list of participants (as a pdf file). The first evening was dedicated to gathering of the conference group. An introduction and welcome speech was held by Staffan Lindberg, SASNET co-ordinator/director, after which the organising committee presented the programme and the focal points for the conference. Professor Lindberg underlined the importance of the symposium and the role of discussing the situation for South Asia related research and the situation for PhD students and post-docs, not the least because todays PhD students will become tomorrows professors. Staffan Lindberg and Lars Eklund, SASNET webmaster and deputy director, then presented the activities of the Swedish South Asian Studies Network, and had a frutful discussion on this with the 45 participating PhD students, post-docs and senior researchers. All the three sessions were organised in a similar fashion. They began with presentations by two challengers, selected PhD candidates, who presented a catalogue of relevant demands and questions in relation to the theme discussed. After that followed one ore two so called champions  senior researchers and resource persons invited, who followed up the matters that the PhD students had brought to attention. Then followed group discussions, in four groups, where the seniors made up a separate group. These discussions were afterwards summarized at a new joint session, wishes were presented and conclusions drawn. The session was initially prepared by Kristina Myrvold and Katarina Plank, both PhD students from the Dept of History of Religion, Lund University. They had written a basis for discussion on the theme Input. The text is available here (in Swedish only) as a pdf file. Neither of them could finally attend the symposium, and therefore the preparations for the session had been taken over by Ulla Thoresen, from the same department at Lund University. Read the review of the full INPUT session! 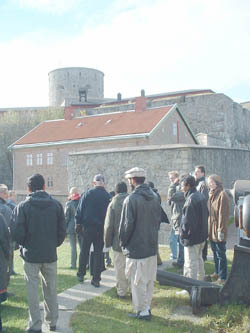 After lunch the participants made a walk around Marstrand and up to the majestic fortress guarding the town. 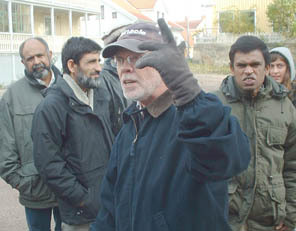 Hans Egnéus, professor of Human Ecology, Göteborg University, spent his childhood in Marstrand and was therefore the natural guide on this sight-seeing tour. A basis for discussion was prepared by Christer Norström and Eva-Maria Hardtmann from the Department of Social Anthropology, Stockholm University. 14.5015.30 Tashfeen Ahmad (PhD student) and Bo Lindblad (senior). 15.3015.45 Gunnel Cederlöf concluded and introduced the group discussions. Followed by group discussions 16-17, and a final general session 1718. Review of the the full OUTREACH session. Senior resource persons: Pamela Price, from the Department of History, University of Oslo, Bo Lindblad, from Karolinska Institutet, Stockholm, and Gunnel Cederlöf, Dept of History and Dept of Cultural Anthropology, Uppsala University. 912.30 Theme OUTPUT  Post-doc existence, publishing, etc. A basis for discussion was prepared by Malin Arvidson, Department of Sociology, Lund University. 9.45  10.30: Björn Hettne (senior) and Jan Magnusson (post-doc) comment on what has been said, and give their views. 11.00  12.30: Group discussions and a final general session. 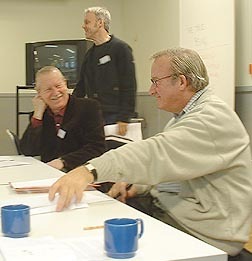 Senior resource persons: Jon Sigurdson, who is in charge of the Swedish School of Advanced Asia Pacific studies (SSAAPS) with funding from STINT and Riksbanken during 2002-2006. He presented his programme and the experiences from it; and Björn Hettne from PADRIGU, Göteborg University, presented plans for a suggested Nordic Research school based at Göteborg University. 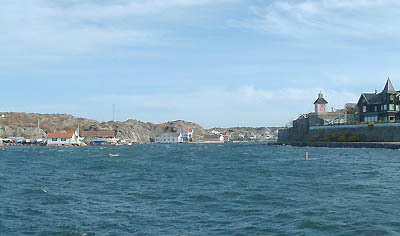 13.00 Conference closing with lunch, and departure from Marstrand. Tickets and reimbursement of travel costs: The travel costs will be fully covered by SASNET, but the reimbursement of these will be given afterwards. Tickets and receipts must therefore be presented to SASNET. No registration fee was charged for the conference. Posters and books: In addition to the seminar programme the doctoral students who came for the seminar exhibited material, posters and books on their respective departments.